The Brazilian professional BJJ invitational Copa Podio has prepared a great novelty for its upcoming Heavyweight GP, which will take place on the 16th in Porto Alegre. A judoka sportsman is among the participants! Horacio Antunes, black belt in Judo, competes for the Sao Caetano team in Sao Paulo, and in BJJ he is a blue belt at Gracie Barra Curitiba. “I think I might surprise, yes. Because all the opponents that I will be facing, they must know each other very well. Because I’m from Judo, it will be very difficult for them to know me. So I think I can be a surprise,” – commented Horacio, who is 26 years old. Horacio is practicing sicne the age of eight. However, he began practicing Brazilian Jiu-Jitsu more seriously just three years ago in Porto Alegre. 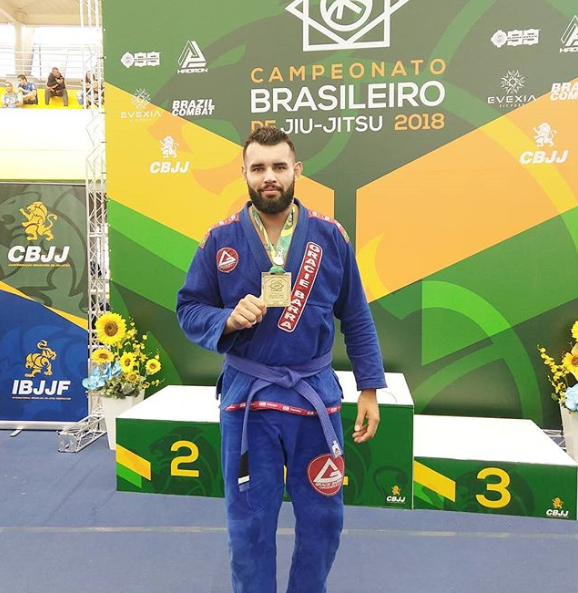 Last May, Horacio became Brazilian BJJ champion (CBJJ) in Barueri (SP). “I was very happy when I received the call being invited to participate in the Podio Cup. I am very happy to be sharing the mat with these Jiu-Jitsu beasts worldwide. I do not think that I will take advantage over the opponents just for being judoka, but for being very competitive,” – said Horacio. He will be facing BJJ champions Renato Cardoso, Kaynan Duarte, Devhonte Johnson, Jared Dopp and many others. This is not the first time that Copa Podio invited a high level Judoka to compete. 4 years ago, Travis Stevens also competed and came 4th, losing to Paulo Miyao in the semis.